A lovely mid-terraced cottage one mile from the centre of the town of Launceston, on the Cornwall/Devon border. 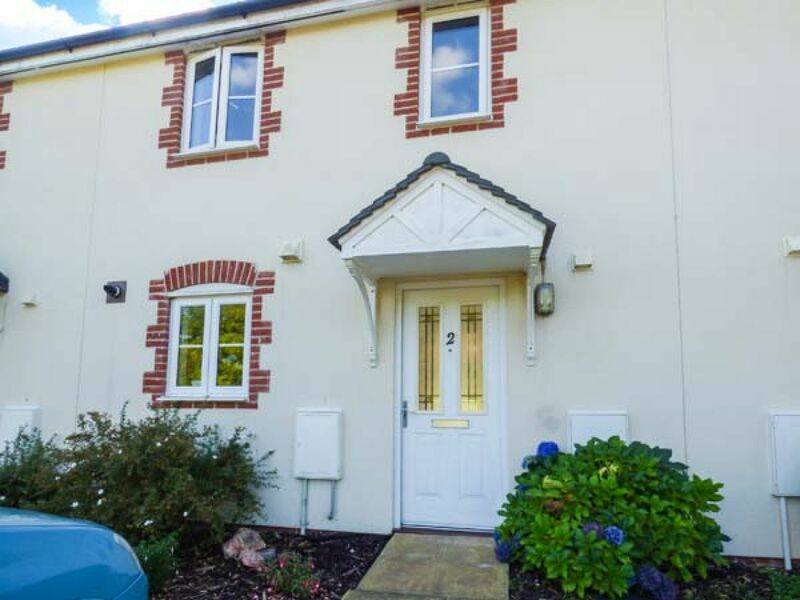 2 Kensey Court is a lovely mid-terraced cottage situated in a cul-de-sac, in a peaceful estate, one mile from the centre of the town of Launceston, on the Cornwall/Devon border. Boasting countryside views, this light and airy holiday home is ideal for a family wishing to explore both counties. Once inside the entrance hall leads you into the kitchen and then onto a comfortable sitting room with dining area and French windows that look out onto the lawned garden. Upstairs there are two double bedrooms, the front room having countryside views, as well as a bathroom. Outside there’s the convenience of off road parking and an enclosed garden, a perfect place to enjoy an alfresco meal on a sunny evening. Less than a mile away is the town of Launceston, which has Georgian buildings, ruins of a Norman castle, shops, cafes, restaurants, a museum and a church. Just three miles away is the Tamar Otter Park, and nearby is the Trethorne Leisure Park, which is open from February to November and has mini golf, games arcade and ten pin bowling. Within driving distance are the ancient town of Tavistock, Dartmoor National Park, the city of Plymouth, and the seaside resorts of Bude and Padstow. A charming base for exploring two wonderful counties. Two double bedrooms. Bathroom with bath, shower over, basin and WC. Ground floor basin and WC. Kitchen. Sitting room with dining area and single sofa bed.